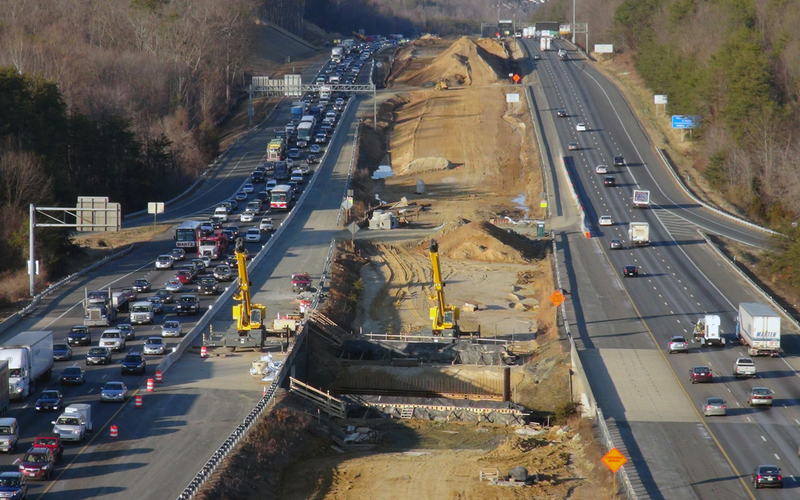 Photo courtesy of Branch Highways, Inc.
A bipartisan group of House members are pushing an ARTBA-supported amendment to the STRRA that would establish a congressional task force to develop a long-term Highway Trust Fund revenue plan by 2018. The proposal, championed by Representatives Jim Renacci (R-Ohio) and Bill Pascrell (D-N.J.), would be a significant improvement to the House bill and has the potential to avert the Highway Trust Fund revenue crisis that both the House and Senate reauthorization proposals would create in three years. The House Rules Committee is scheduled to meet late Nov. 2 to decide which amendments to the bill will be allowed a vote on the House floor and ARTBA is working with our allies to secure a vote on the Renacci-Pascrell Amendment. Please be prepared to contact your representative to urge support of this proposal if it is allowed to move forward. The latest short-term extension of the highway and public transportation programs expires Nov. 20. Once the House approves its reauthorization bill, the two chambers will meet to begin reconciling their respective proposals. We will continue to keep you apprised as this process moves forward.